I was really going to post something else. 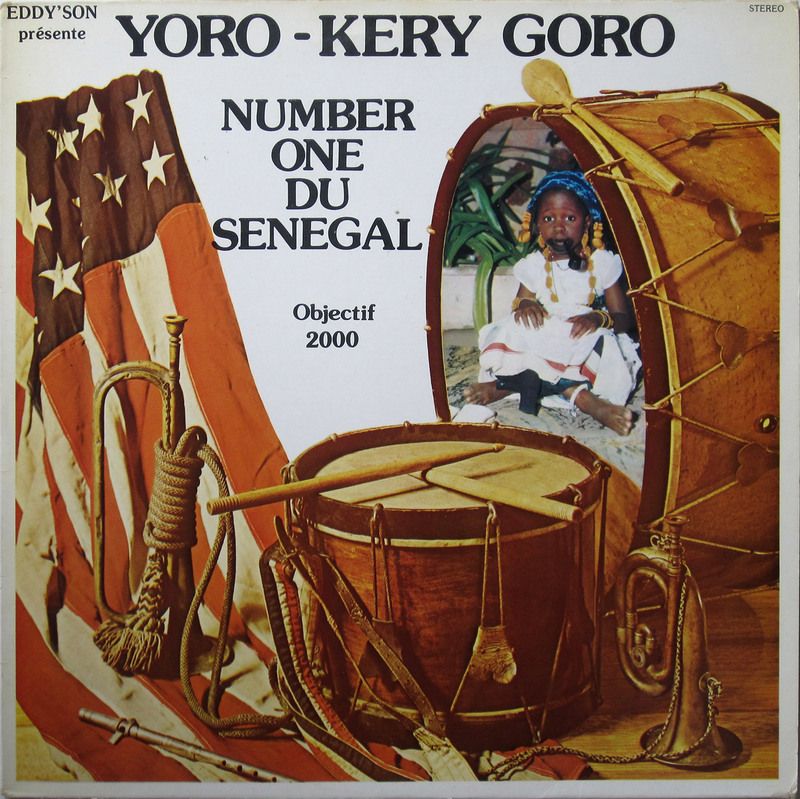 But in bed with a nasty cold, sweating and feverish, I was haunted by this tune: "Mory", by Number One de Dakar. The best cure for any disease: good music. 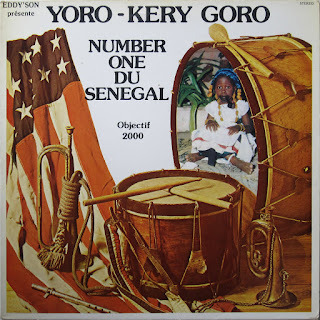 Continuing my personal countermeasures against the against the lunatic proposal by those so-called islamic groups in northern Mali to ban music, I am bringing in the big guns. 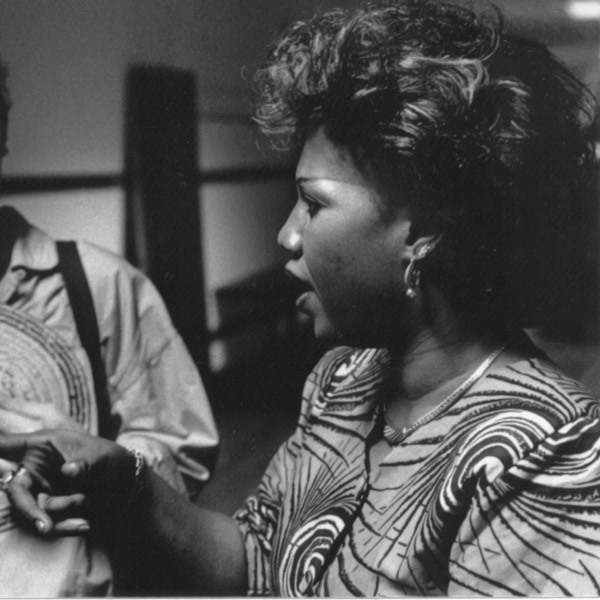 And when it comes to rock-hard Malian culture the guns don't get much bigger than Hawa Dramé. You may remember my earlier post, plus the fantastic video featuring this great - but unfortunately also late - singer. If you have missed those, please do yourself a favour and at least watch those two videos. The cassette I am sharing with you is one to digest slowly. Take your time. 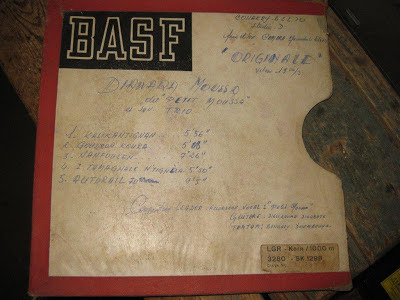 This is music which will last you a lifetime, and will be in your blood forever. As in the cassette I posted earlier, Hawa Dramé pulls out all the stops. The control she has over the 'accompagnement' is, again, brilliant. As is the control over her own vocal contribution. She can go full-out, but she can also subtly understate, - and in doing so move the coldest of those deepfrozen misguided souls in the north of her country . There is not a weaker song in this collection. 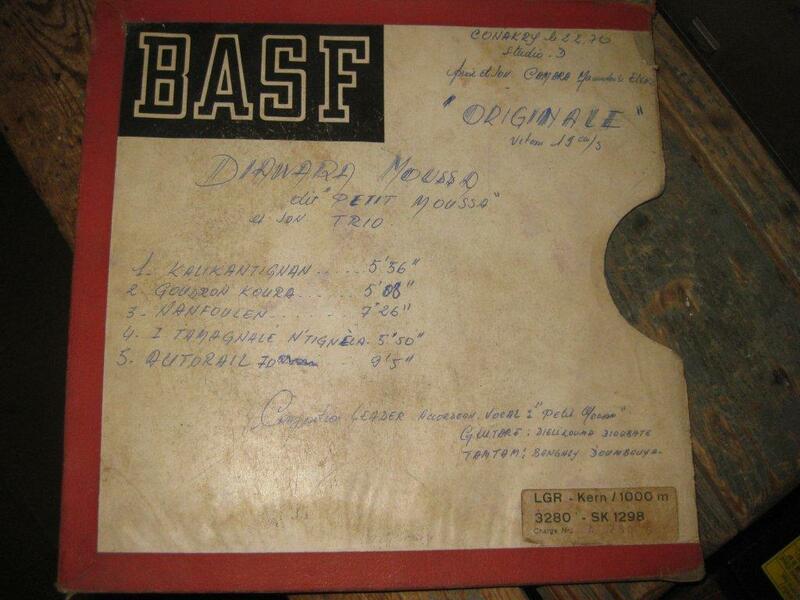 You may recognise "So danso"; this was covered by Super Biton (see this post). 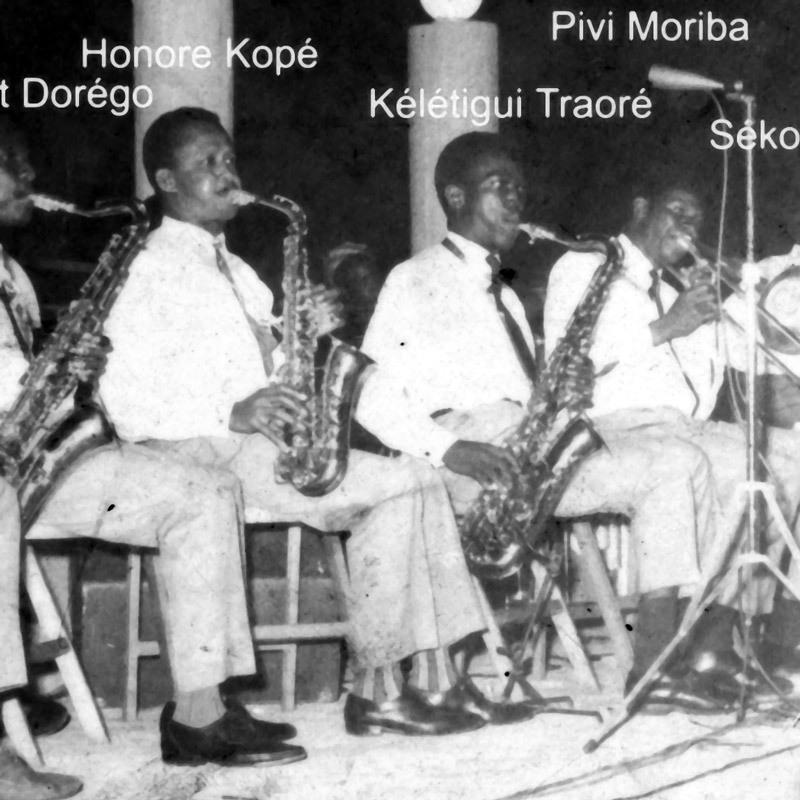 "Demeba", with its majestically striding rhythm and Hawa's superb long phrasing. The meticulous "Diamandjo" where she is competing with the ngoni, twisting and turning. And "Mayebe Diyabo", just as intentional, with Hawa demonstrating the full dynamics of her unique voice. Side B again has two longer songs. 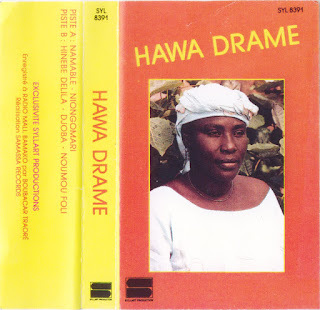 "Namabile" is one of those epic songs, which Hawa Dramé takes to another level. The same goes for "Niongomari" (covered by others, like Bazoumana Sissoko's daughter Tenignini Damba, as "Mariso"), although this unfortunately has a few wobbles. *And in case you are wondering: this is a reference to the present date, plus a reference to what would be September 11 in countries like the USA. And in a way it is a reference to the excessive (verging in the ridiculous) coverage of first the impact of tropical storm Sandy on the eastern US (while the enormous damage of the hurricane Sandy on Cuba was covered in a single sentence!!) and then the painstakingly detailed and minute-to-minute coverage of the US presidential elections in this country (the Netherlands). Already Dutch media don't bother to convert 9-11 to the customary 11-9, so my guess is that in a few decades we will officially hand over sovereignty to 'our good friends on the other side of the Atlantic'.